Many customers have responded since we started offering pre-orders for first new machines based on the upcoming Windows 8 OS. Today, we’re taking orders for an expanded set of products—including two new tablet options from Dell: the XPS 10 and the Latitude 10. Beyond the two tablets, we’re also taking orders for the Latitude 6430u notebook, the new Inspiron 15z with touch and the touch-enabled version of Dell’s OptiPlex 9010 All-in-One desktop. Customers in the United States can order all these products today. System purchasing options will vary by region, and will be available in countries outside the US soon. Windows 8 is an operating system that reimagines traditional PCs by bridging the gap between traditional desktops and laptops to tablets and smartphones, and by making touch one of the primary ways to interact with devices. Dell worked with Microsoft to bring the touch experience to life on a range of Dell products. Regardless of which touch-enabled Dell products our customers choose, they can expect a stellar and responsive touch experience. We unveiled the Windows RT-based XPS 10 tablet in late August during IFA in Berlin. We designed the 10.1-inch device for mobile professionals who want the flexibility of using it at home or in the office. The XPS 10 is designed for Windows RT so that means it can take advantage of the new applications built for Windows 8 that can be downloaded from the Windows Store. The XPS 10 also includes Office Home & Student 2013 RT so users can create or edit Office docs on the go. The ARM-based tablet offers a 1366×768 display that features wide viewing angles, so it looks great even from the side. The edge-to-edge display is also reinforced with Asahi Dragontrail high strength glass. The XPS 10 is powered by Qualcomm’s Snapdragon S4 processor for up to 1.5GHz dual CPU performance. You can order it with either 32GB or 64GB configurations, and it also features an expandable micro-SDXC reader. The XPS 10 also features a 2-megapixel front camera and a 5-megapixel rear one, dual stereo speakers and dual-band Wi-Fi (802.11 a/b/g/n) and Bluetooth 4.0 so you’ll be able to stream Netflix as easy as you’ll be able to have HD video conference calls. The optional mobile keyboard dock features a near full-sized keyboard with a touchpad, connectivity ports and stereo speakers. The dock also includes an extra battery for extended battery life. Pricing for theXPS 10 starts at $499, including Microsoft Office Home and Student 2013 RT. The Latitude 10 is our Windows 8 tablet that’s built to fit into existing IT environments, offering robust security and manageability features that IT admins are used to having on typical client machines they deploy inside the network. That means the Latitude 10 easily plugs into existing management consoles, and also offers optional support for robust security features like Dell Data Protection and Encryption. This tablet also supports an active stylus for customers in business environments that need it. The Latitude 10 also supports a swappable battery. With the optional productivity dock, the Latitude 10 offers up to 18 hours of battery life. The dock also makes it easy to connect your tablet to an external display via HDMI, and offers Ethernet connectivity and three USB ports so you can be productive at work. An Optional fingerprint and smart card reader for two-factor authentication will be coming in early 2013. 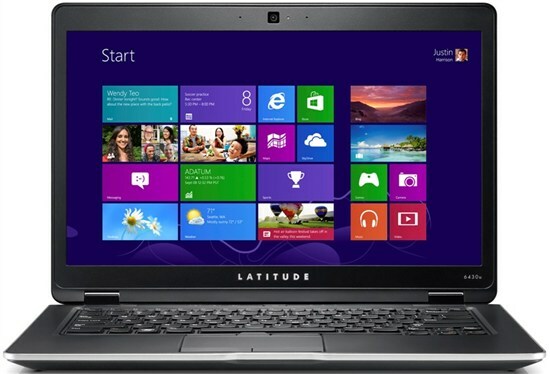 The Latitude 10 uses Intel’s dual core Atom processor, and also features 802.11 a/b/g/n Wi-Fi connectivity with optional mobile broadband support. The 10-inch tablet features a 1366 x 768 display reinforced with Corning Gorilla Glass. Since the Latitude 10 runs Windows 8, that means it supports all the new apps built for Windows 8 that users download from the Windows Store, plus most of the existing applications they are used to running on traditional PCs. Pricing for the Latitude 10 starts at $649. The Latitude 6430u is Dell’s first Ultrabook for business. Because it is a Latitude, you can expect all the corporate features you would expect like data and system security, excellent manageability features and durability in a sleek thin design. The Latitude 6430u is our first laptop to offer wireless docking based on WiGig technology, which allows devices to communicate wirelessly at multi-gigabit speeds for data, video, and audio. It’s also currently the only Ultrabook designed to meet rigorous United States Military MIL-STD-810G testing standards. We offer it with options like data encryption, TPM, an optional smartcard and fingerprint reader. According to our testing, users can expect up to 10 hours of battery life on a single charge. You can also expect great performance overall since the Latitude 6430u is based on Intel’s third-generation Ivy Bridge Core i3, i5 and i7 processor options in a system that is just 0.82 inches thick and starts at 3.7 pounds. See Brett’s post for more details. We’ve now added a touch option to our 23-inch OptiPlex 9010 all-in-one desktop. Customers who purchase the multi-point touch version of the sleek OptiPlex 9010 will enjoy all the touch-friendly capability that Windows 8 provides. The touch system also features an articulating stand and either a fixed or rotating camera. With these options, the OptiPlex 9010 AIO with touch delivers a great Windows 8 experience overall, and is optimized to deliver a great audio and video support for tools like Microsoft’s Lync that enable new levels of collaboration. See Brett’s blog post for additional details. 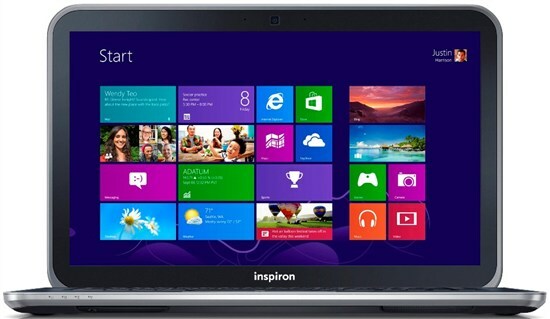 This new Inspiron 15z Ultrabook with touch (and we also sell a non-touch version) is a great option for those home users looking for the full Windows 8 touch experience in a laptop with a larger display. It also utilizes Intel’s third-generation Ivy Bridge processors as well, so overall performance is solid across the board. It’s a system we designed to look good too with an attractive aluminum finish in a system less than 1-inch thick. Pricing for the touch model starts at $899.99. We’re also augmenting the above products with two new peripherals that help customers get the most out of Windows 8: the S2340T multi-touch monitor and the TP713 wireless touchpad. The S2340T is the first multi-touch monitor we’ve offered, and it allows you to add 10-point touch capability to your existing system via connecting a USB cable from your machine to a USB 3.0 one of the bases’ USB 3.0 ports. For those of you upgrading to Windows 8, this monitor brings a similar experience that you can expect from a new Dell system with touch capabilities. 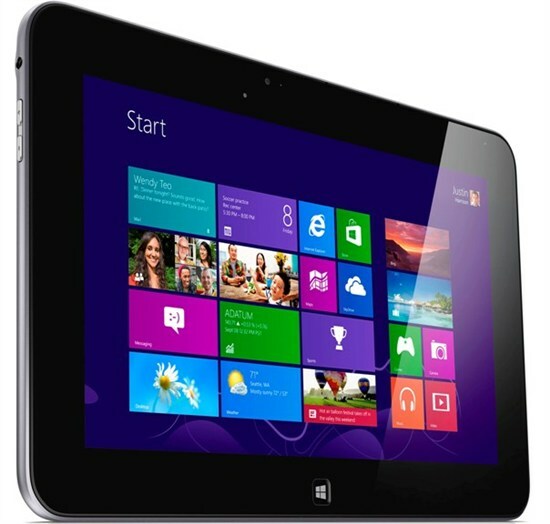 Everything from seamlessly browsing pictures and videos to navigating through the Windows 8 touch experience. The S2340T multi-touch display also includes a 90-degree articulating stand to further enhance the touch experience. The TP713 wireless touchpad easily connects to your desktop or laptop via a small wireless dongle like the ones used with wireless mice and keyboards that you may have today. 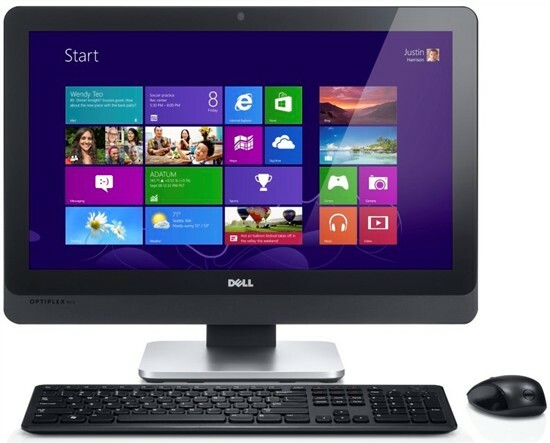 Dell’s wireless touchpad features a multi-touch glass surface that extends across the top of the device. 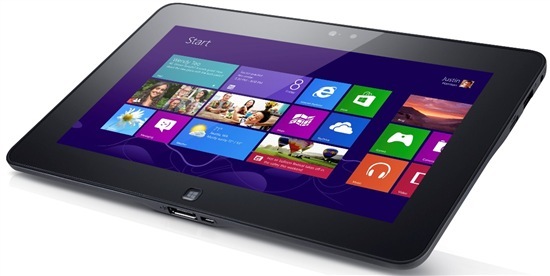 The TP713 provides a similar experience to the multi-touch touchpads that we offer on our current XPS laptops. That means actions like swiping and scrolling are smooth and natural, and it makes navigating around Windows 8 and Windows 8 apps a seamless experience. @XPS 10 keyborad dock – are the USB ports there 3.0? Whats the capacity of the dock battery, same as this one of the tablet? And is the dock battery changeable? Thank you. @AX-Turbo… I didn't get the chance to look at the dock in detail. Will check on details and let you know. Heard back from the team… the XPS 10 utilizes the Qualcomm Snapdragon chipset which does not have support for USB 3.0, so the ports are USB 2.0. You are correct about them both using the same battery–it's a 2-cell 28Whr Li-Ion battery. Neither battery is replaceable. The Latitude 10 does have user replaceable batteries though. The Latitude 6430u is not available for purchase…according to Dell small business sales. @marsdavid: Availability varies by country and by business segment. I did not see an option on the SMB part of Dell.com, but I did see it as a the Latitude 6430u Dell.com option for Large Enterprise customers. I'll check with the team and let you know what I find out early next week. will there be an xps 10 running full windows 8? RT is useless to me. If it were available I would buy it! Any news on the availability of the Latitude 6430u in the United States?